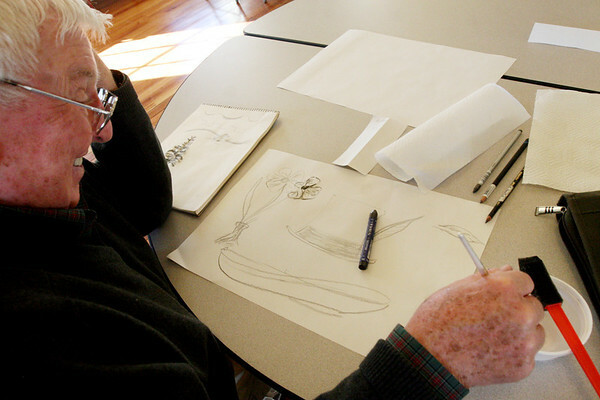 Bob Smith of Rockport draws at Community House in Rockport on Monday. A drawing class taught by artist Elizabeth Harty will be held for four Mondays in February from 1-3 p.m. Call 978-546-2573 for more information.